Norwich City transfer rumours: Toni Leistner heading to England? Leistner was heavily touted with a move to Norwich City last summer, but Berlin were desperate to keep the powerhouse centre back. Respected German football magazine, Kicker, report on Sunday Leistner’s representative, Branko Panic, has revealed there is interest from the Bundesliga and England in a summer move. “Those are the two leagues that Toni favors and where he belongs because of his achievements in the last three years as the best centre-back of the second league,” said Panic. Kicker claim Championship clubs are interested in the 27-year-old, who rejected a new deal to stay with the Berliners in March and is out of contract in June. Berlin reportedly have an option linked to promotion but a 1-1 home draw on Saturday with Heidenheim left them ninth in Bundesliga 2. City’s sporting director Stuart Webber and head coach Daniel Farke brought in Christoph Zimmermann and Marcel Franke from Germany last summer, while Sean Raggett and Grant Hanley also arrived this season. Franke, however, fell out of favour after featuring in the early part of the campaign and is now at Dynamo Dresden on loan, while Raggett is yet to force his way into the Canaries’ starting XI. Gabby Agbonlahor is considering retiring from football this summer when his Aston Villa contract expires.That’s according to the Sun , who claim that the attacker is thinking of hanging up his boots amid a range of offers to continue playing. 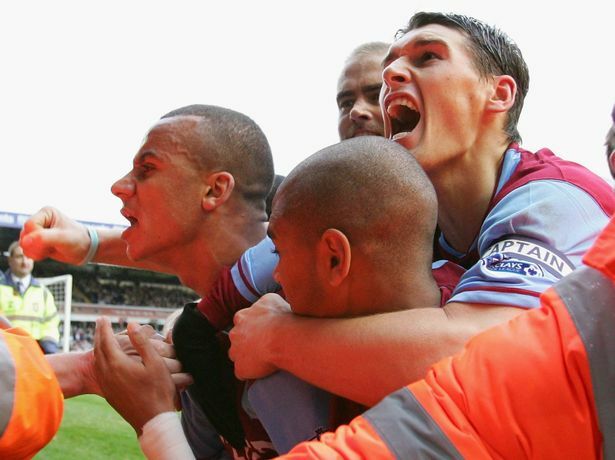 Agbonlahor, still only 31, has scored 86 goals for the claret and blues in just shy of 400 appearances since he broke through in 2006.Manager Steve Bruce has confirmed recently that Agbonlahor will not be handed a new contract, regardless of which division Villa are in next season. “I think it’s time,” Bruce said of Agbonlahor’s contract situation, at the end of last month. “I had a conversation with him about six weeks ago. I think it’s time for Gabby to move on. “I have to say that in the last month or so he’s trained like a beast. I think the time is probably right. The question for Gabby is: what’s he going to do next? He’s probably been institutionalized by the club, he’s been a wonderful servant. The forward is thought to be the target of a number of MLS clubs, who could offer a possibility of revitalising his career in the States. Goals from Olivier Giroud and Alvaro Morata took Chelsea through to the FA Cup final. Giroud netted 28 seconds into the second half and substitute Morata headed in with eight minutes remaining. Last year’s runners up, who will face Manchester United in next month’s final, went ahead after Cesc Fabregas’ ball into the box was brought down by Eden Hazard, who touched it on to Giroud near the edge of the penalty area. The Frenchman did the rest, managing to evade four Southampton defenders and keeper Alex McCarthy before stabbing home. Chelsea had dominated large spells of the first half and Willian hit the bar after eight minutes. After former Blues midfielder Oriol Romeu lost possession, Hazard sprinted forward and laid the ball off to Willian, who cut inside another ex-Chelsea man, Ryan Bertrand, and smashed a left-footed strike against the woodwork. Celtic have been linked with Bayern Munich defender Thomas Isherwood, according to reports in Germany. The 20-year-old Isherwood, who has represented Sweden at age grade from Under-15 to Under-19, currently plays with Bayern’s reserve team, Bayern Munich II.